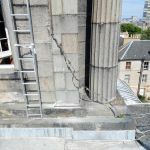 It is often the case that pigeons nest in places that normal pest control companies cannot gain access to. 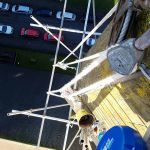 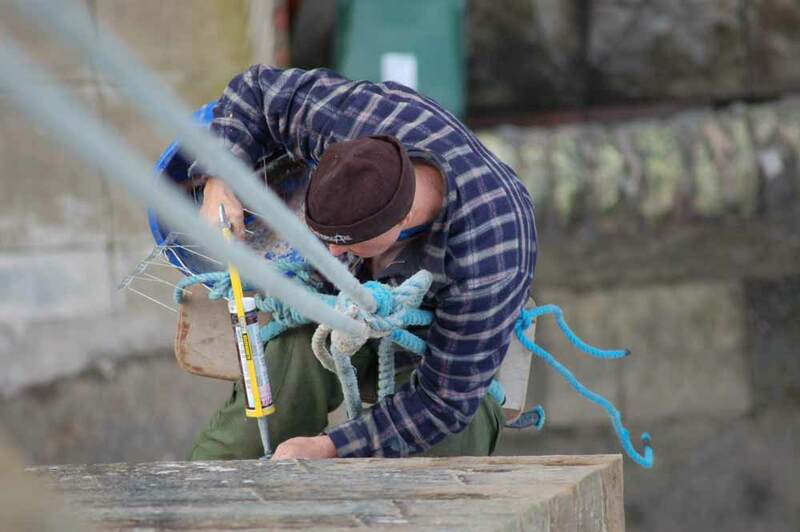 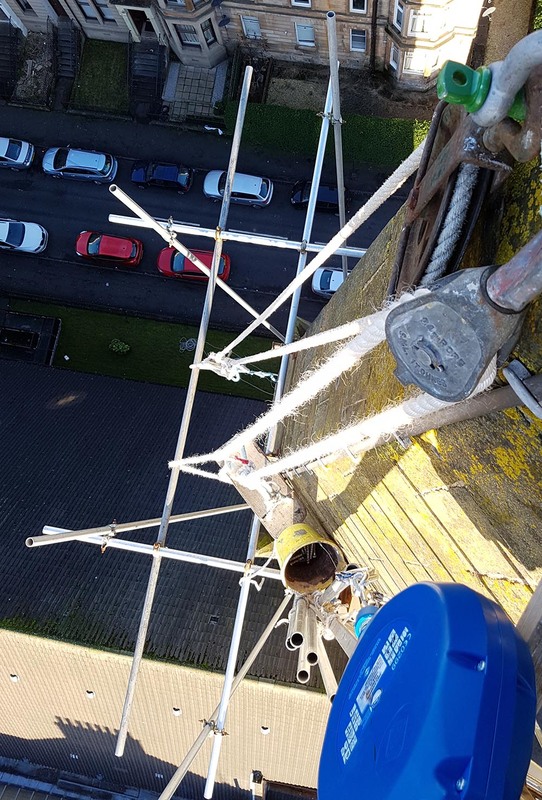 We use the same suppliers, fit the same equipment, and work to the same standards as dedicated pest control companies, but we need no heavy duty scaffold or powered access. 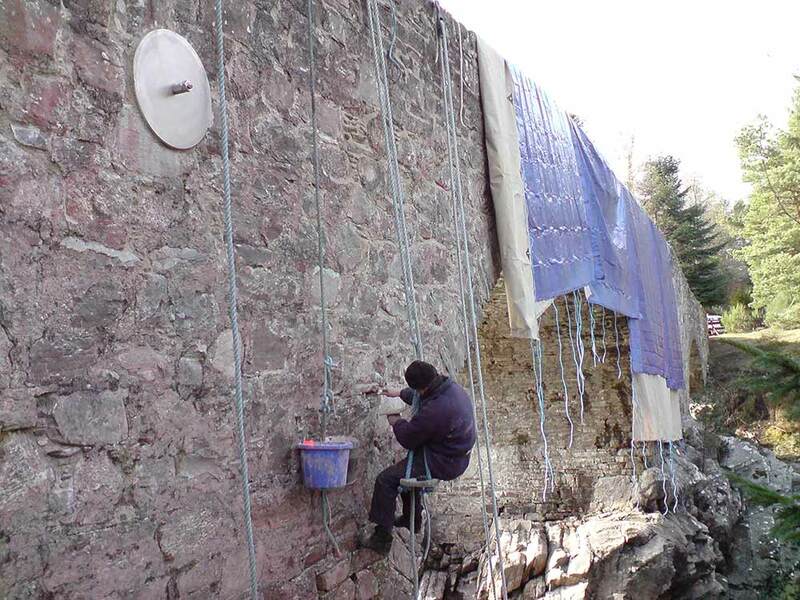 This can save the client a lot of money. 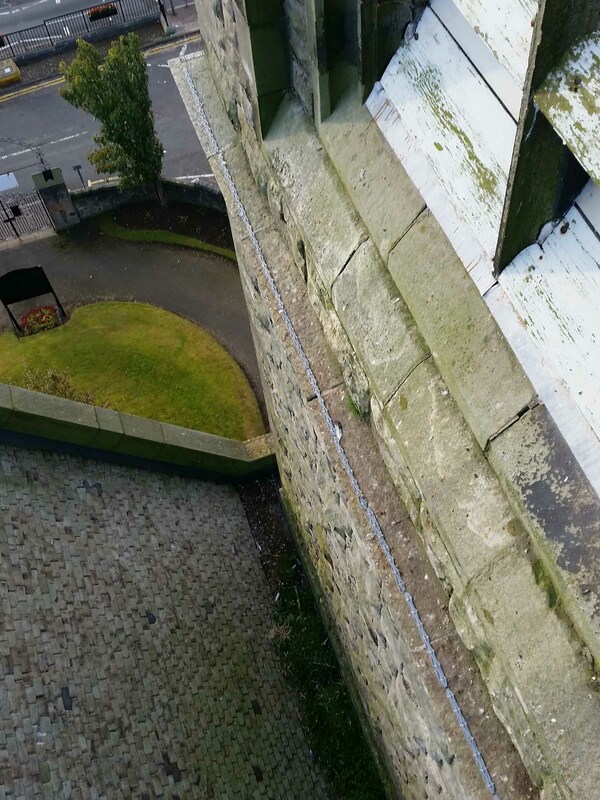 Please see THIS CASE STUDY for a more complicated pigeon control job. 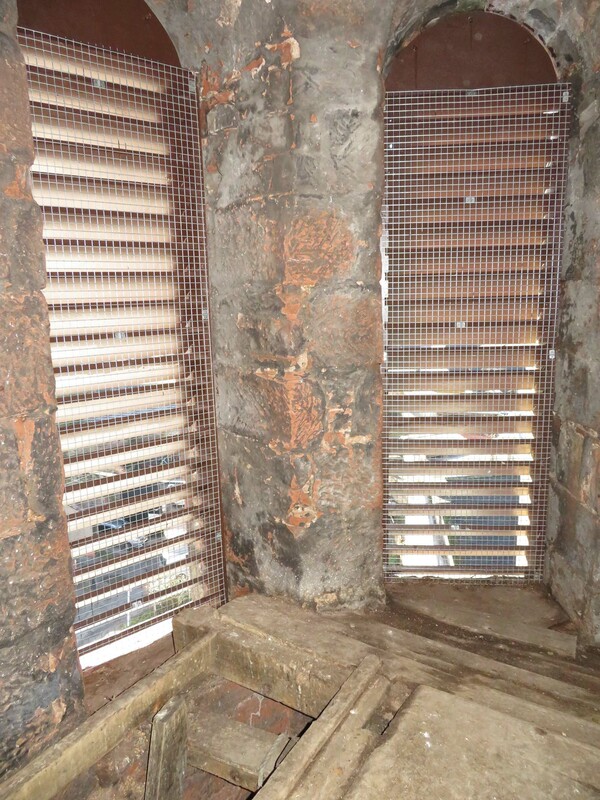 Pigeons were coming in through pigeon nets and louvres that were falling to pieces. 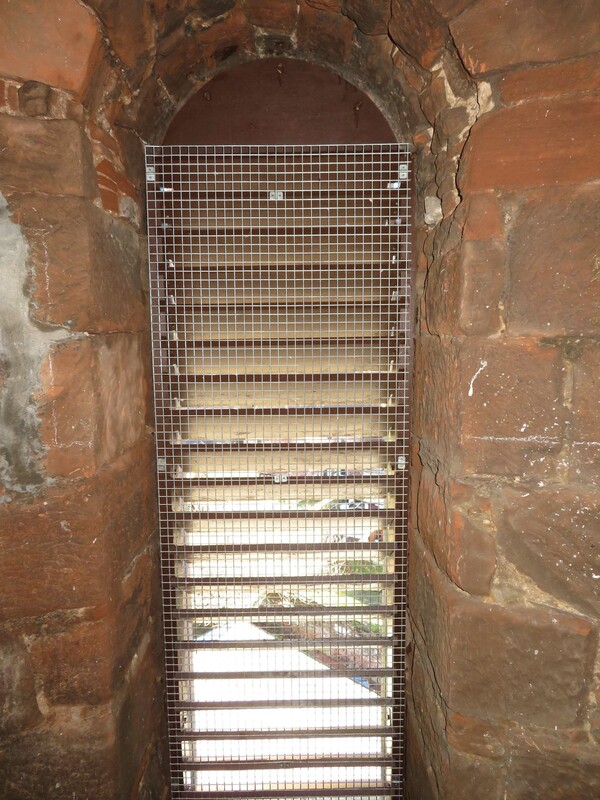 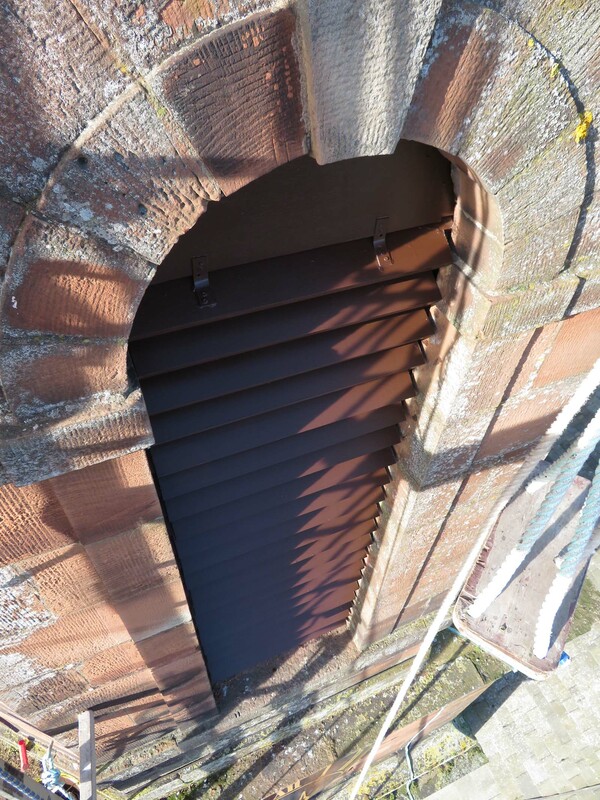 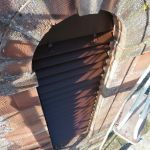 We replaced all of the louvre windows and then fitted high quality galvanised mesh to the rear of the louvres. 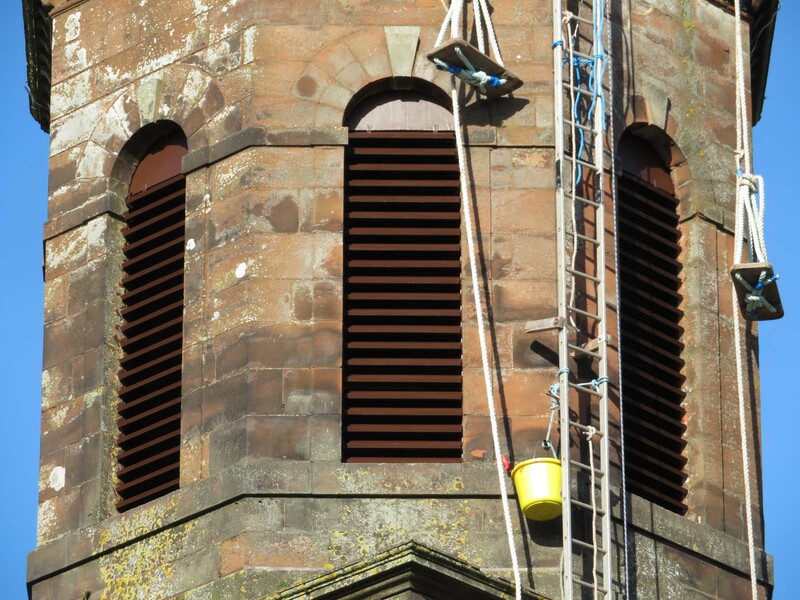 The pigeons will never get into the steeple again. 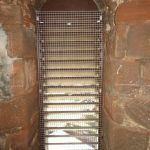 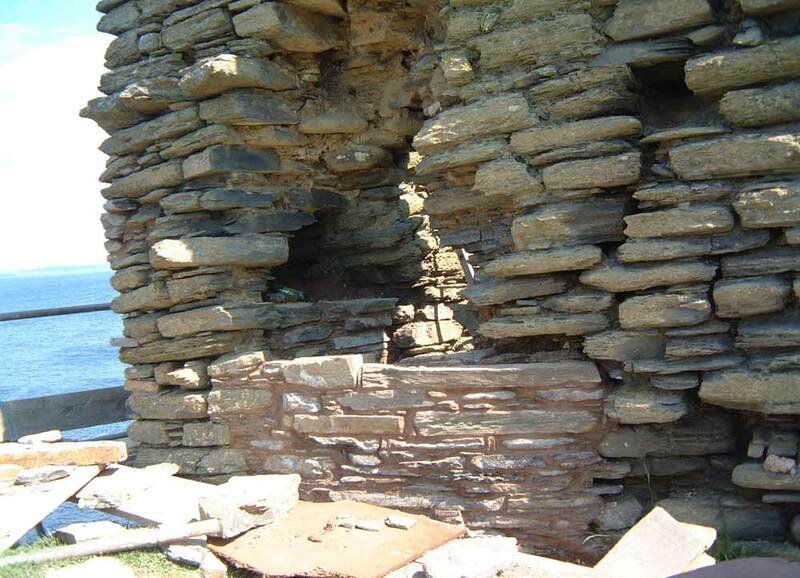 The picture below shows the completed job, but there are a lot more pictures in the Case Study. 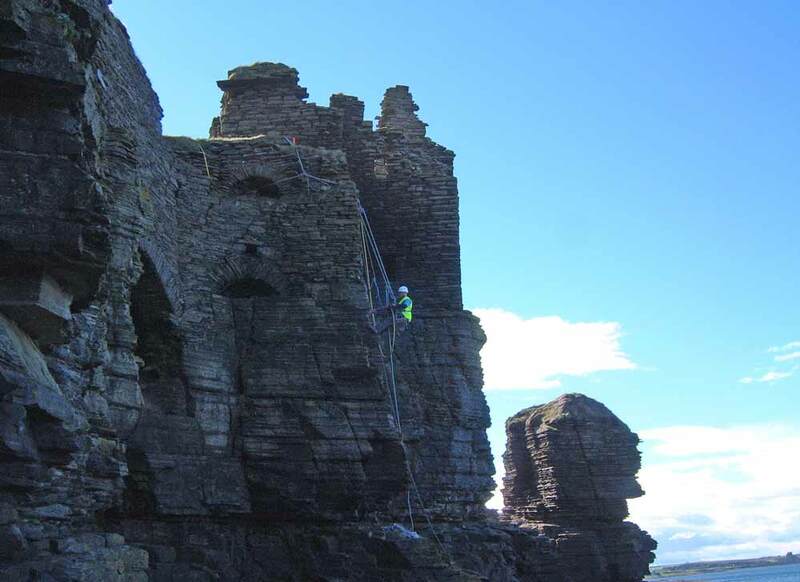 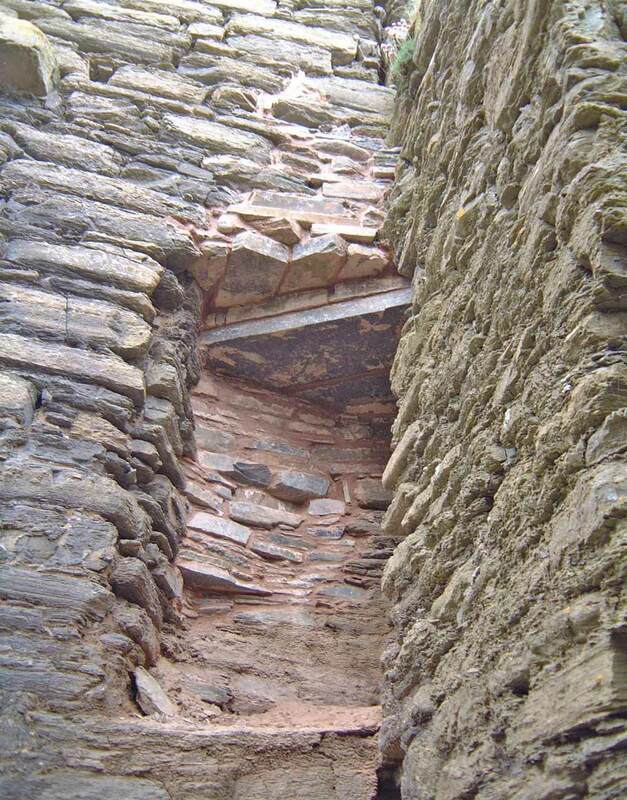 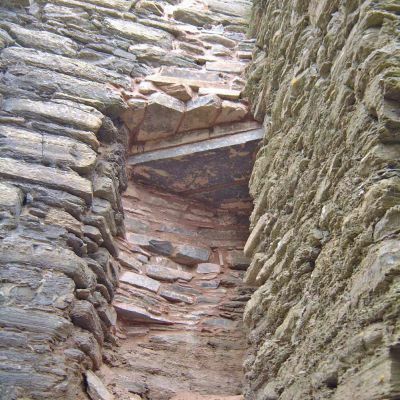 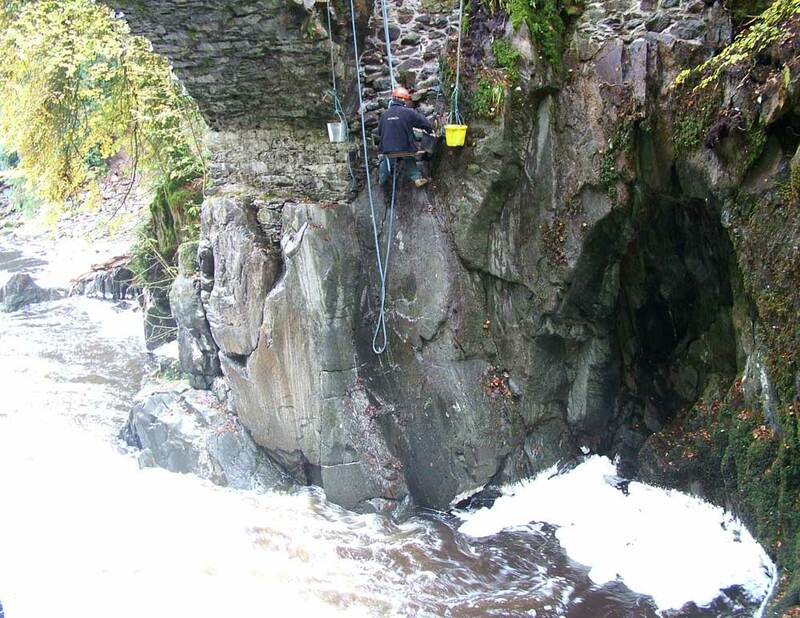 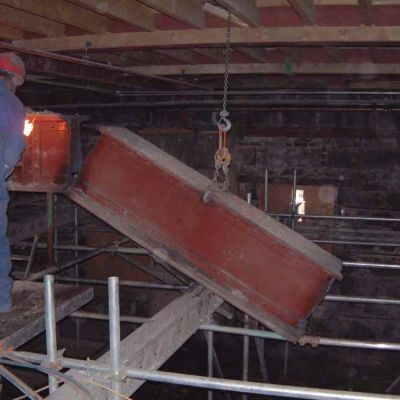 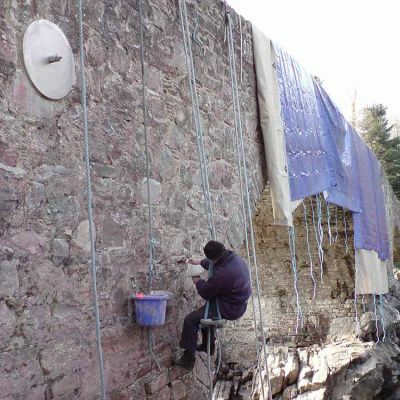 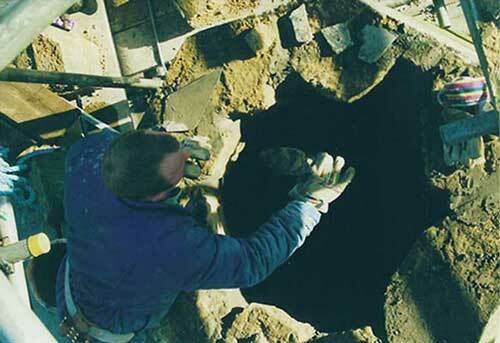 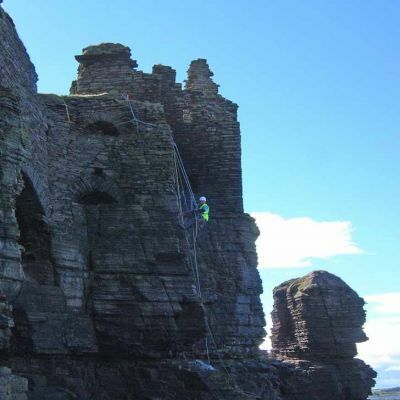 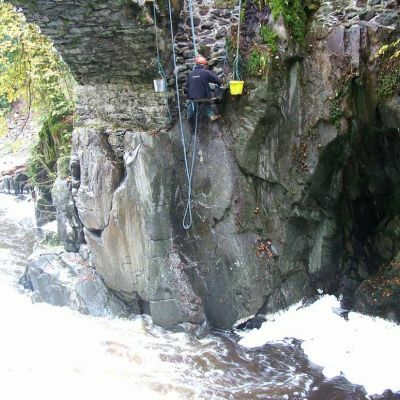 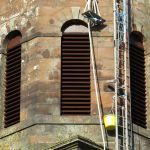 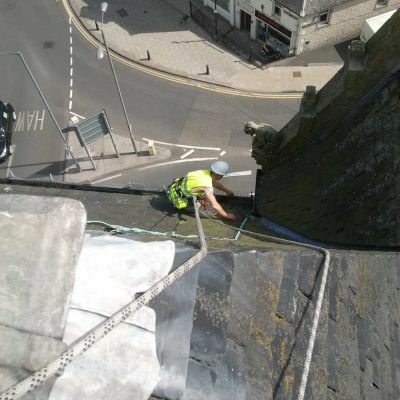 This is a job that took place in Galashiels. 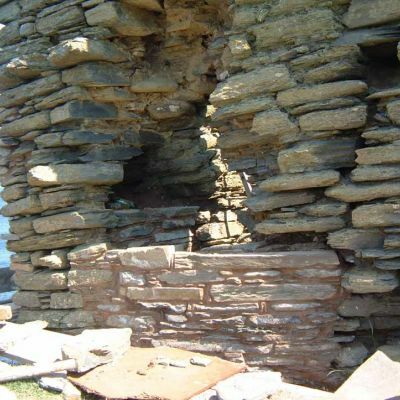 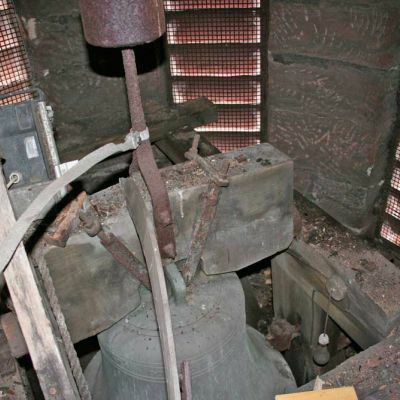 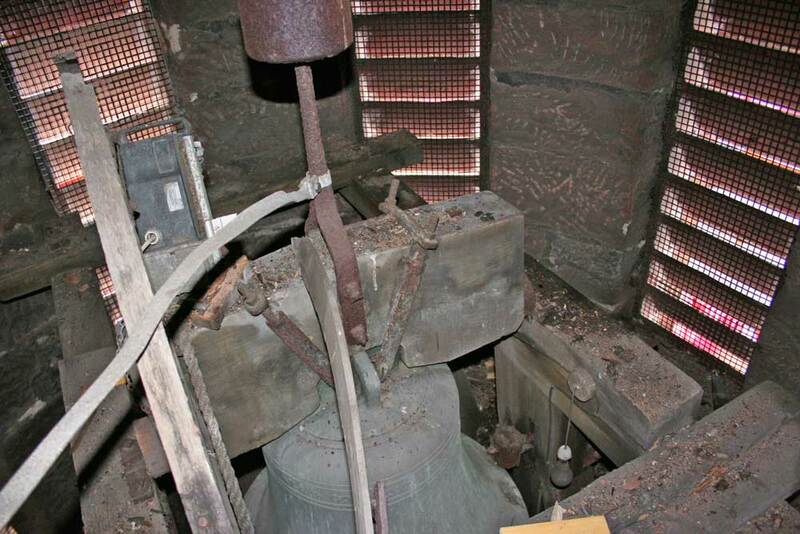 The tower of an old church was infested with pigeons, and had been for years. 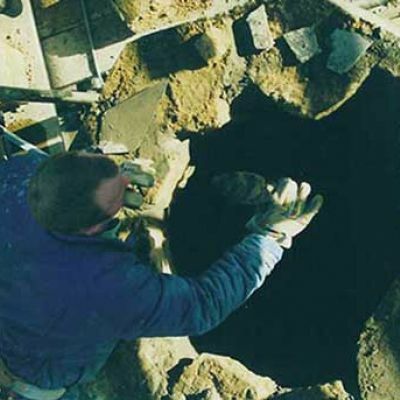 The droppings on the floor were 20 inches deep. 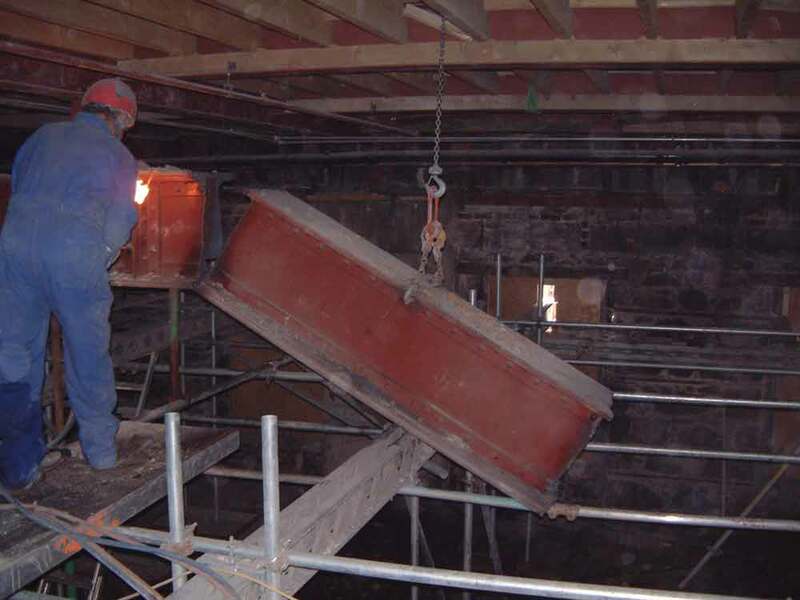 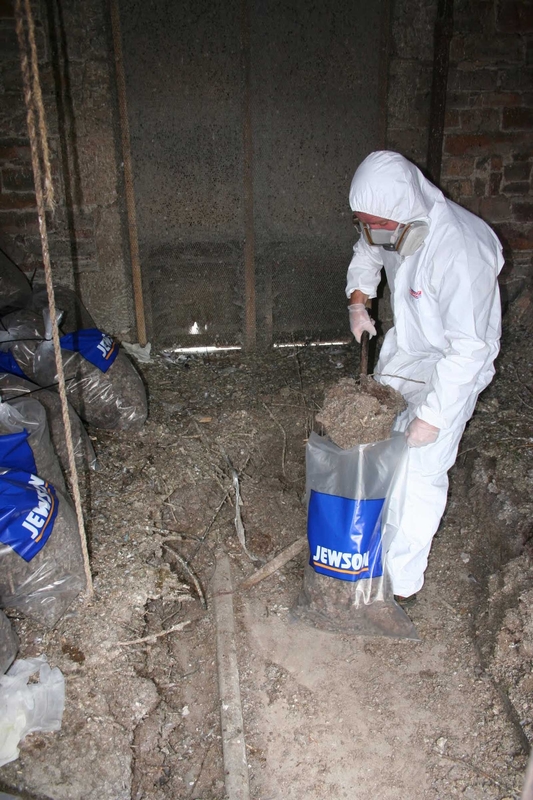 All bags were securely cable tied before being lowered to a sealed skip for removal from site, and the men on site wore full protective kit, including high quality dust masks. 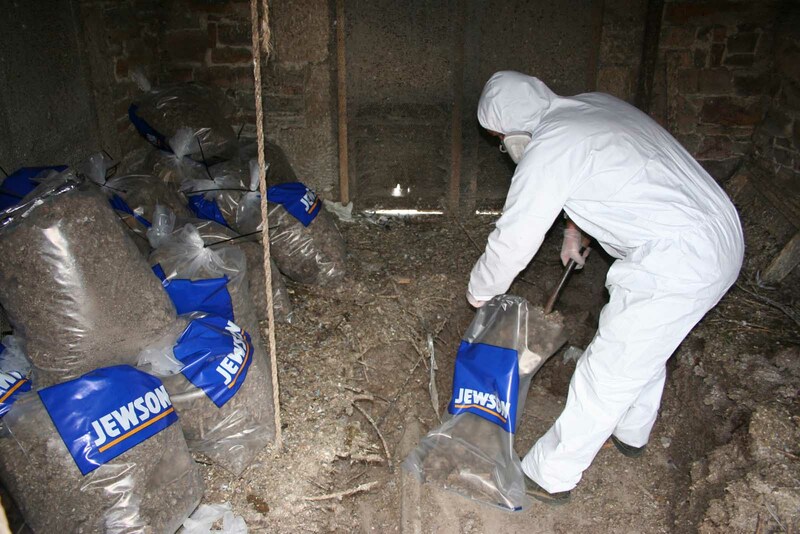 Pigeon guano is a known dangerous substance. 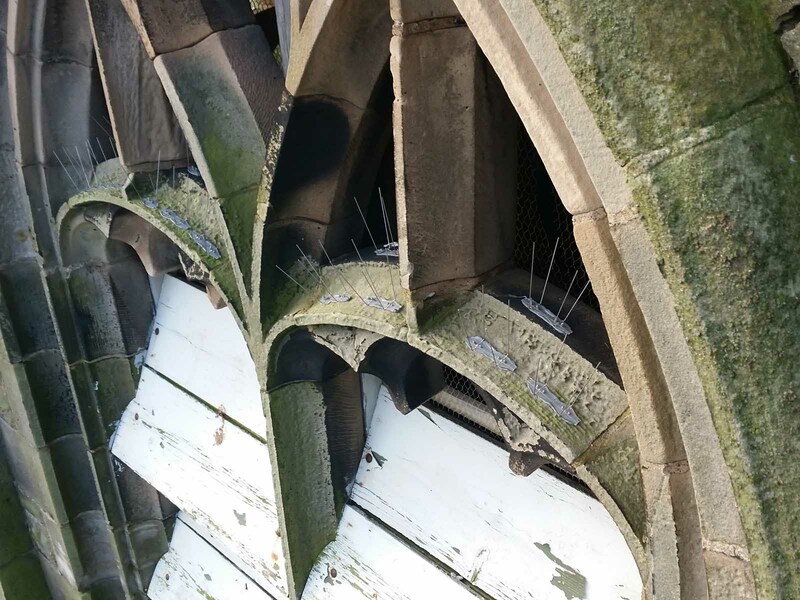 Pigeon spikes newly installed on a church steeple. 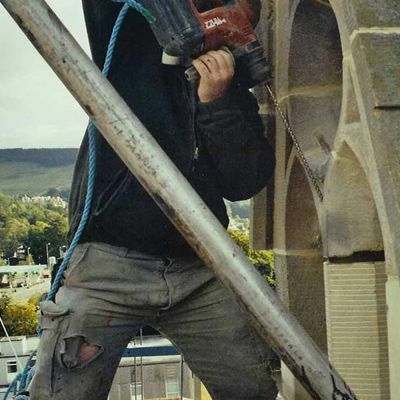 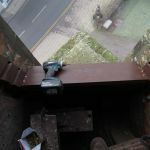 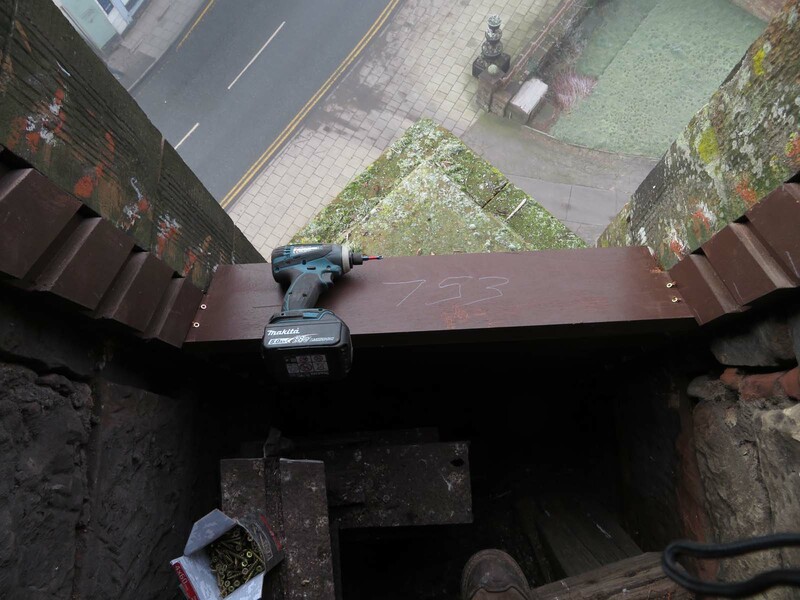 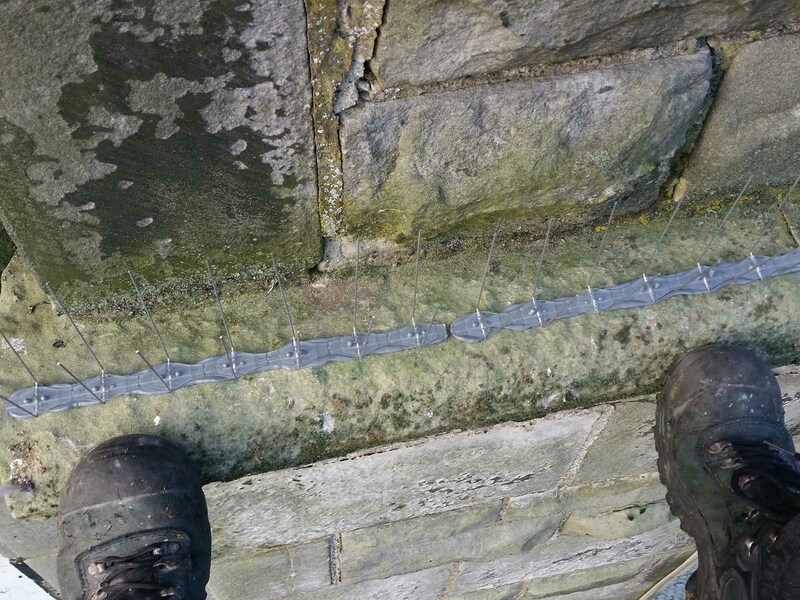 Attaching pigeon spikes to ledges on a Church. 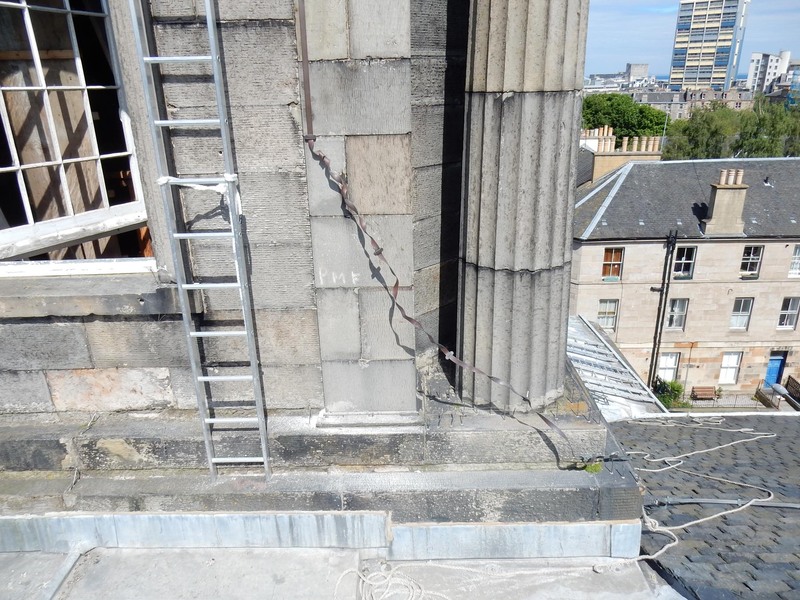 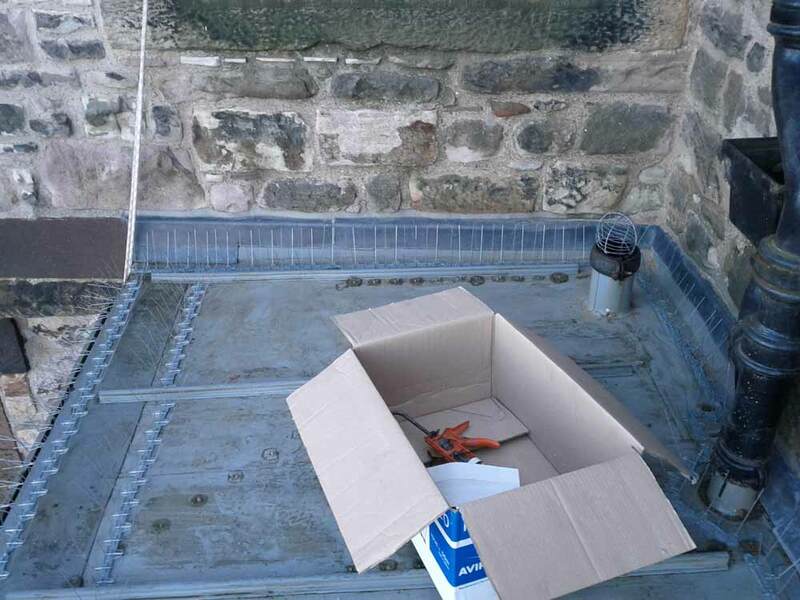 Placing pigeon spikes on a flat leaded roof at the Camera Obscura on the High Street, Edinburgh. 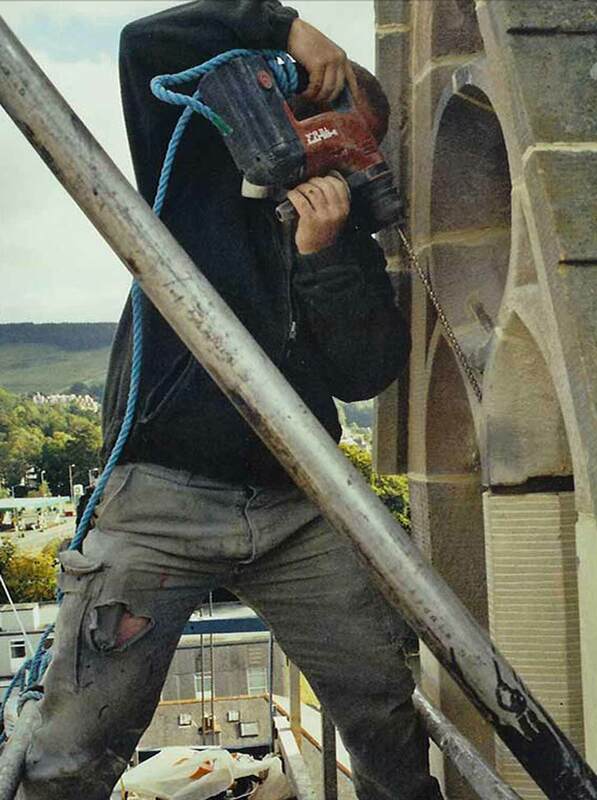 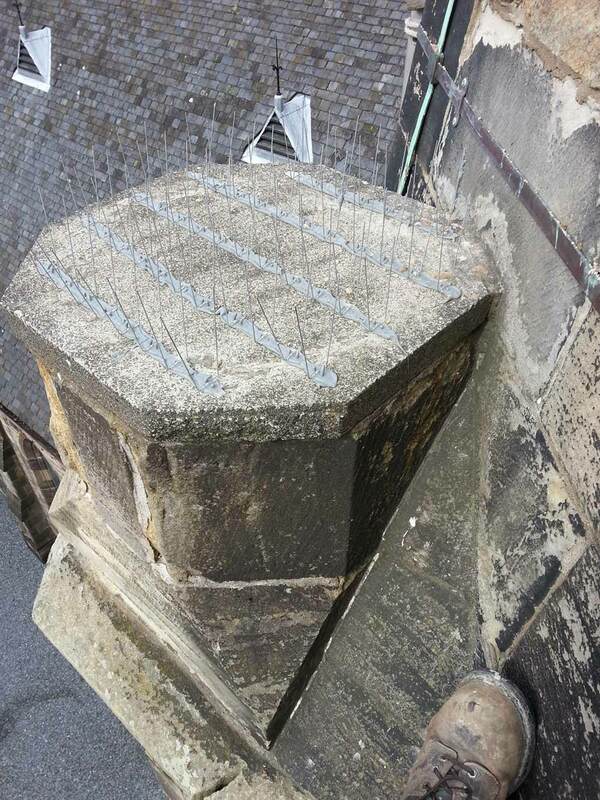 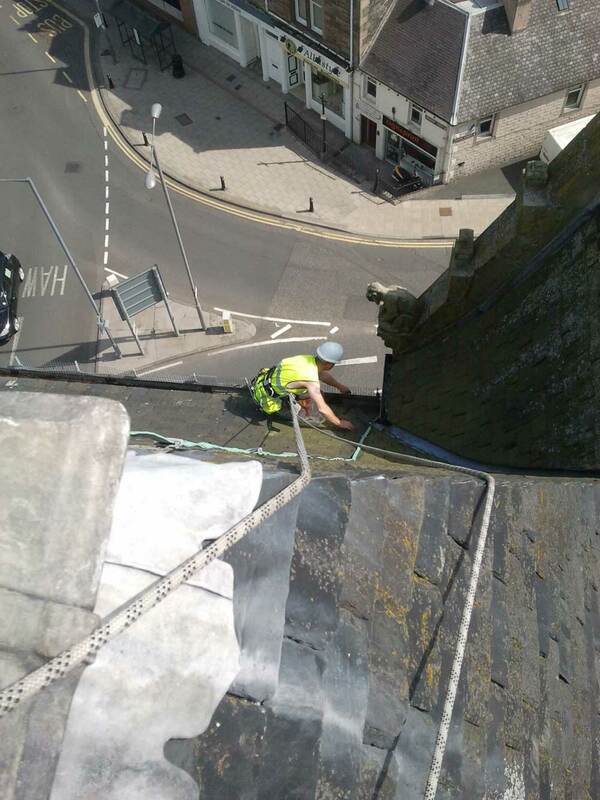 Newly fitted pigeon spikes on a church spire.